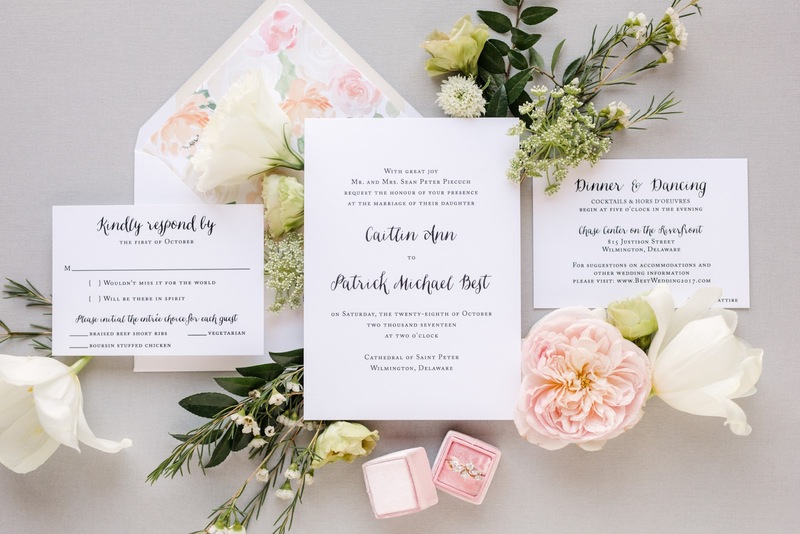 Whether you are hosting a formal wedding or a more casual affair, you can never, let me repeat that, never ever, go wrong with a minimalist approach. 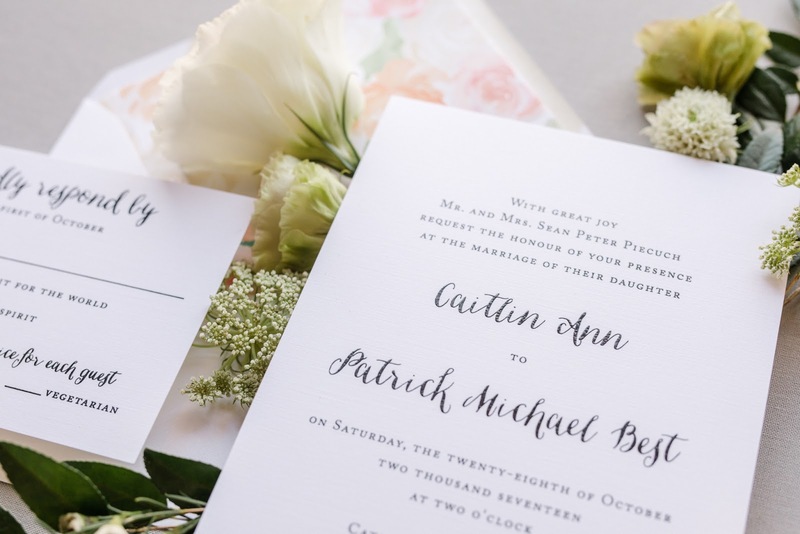 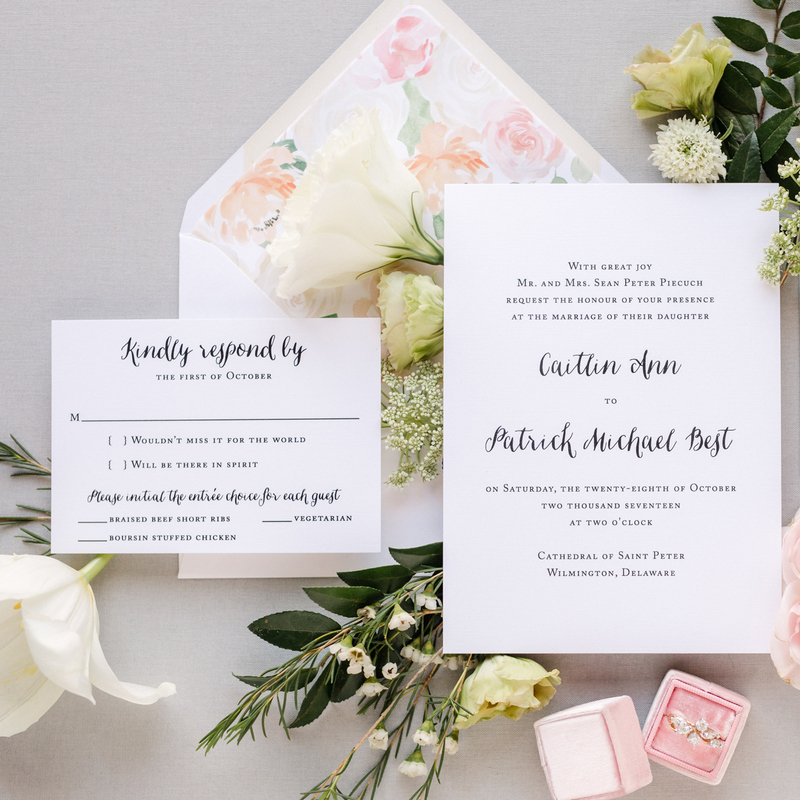 With a simple and clean layout, our Grace invitation suite lets the typography shine. 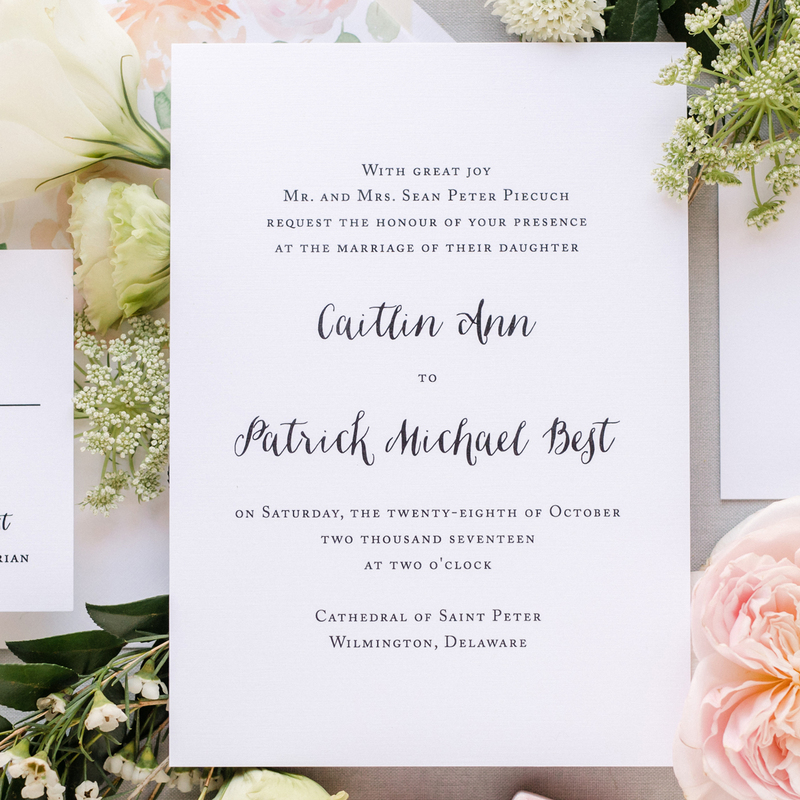 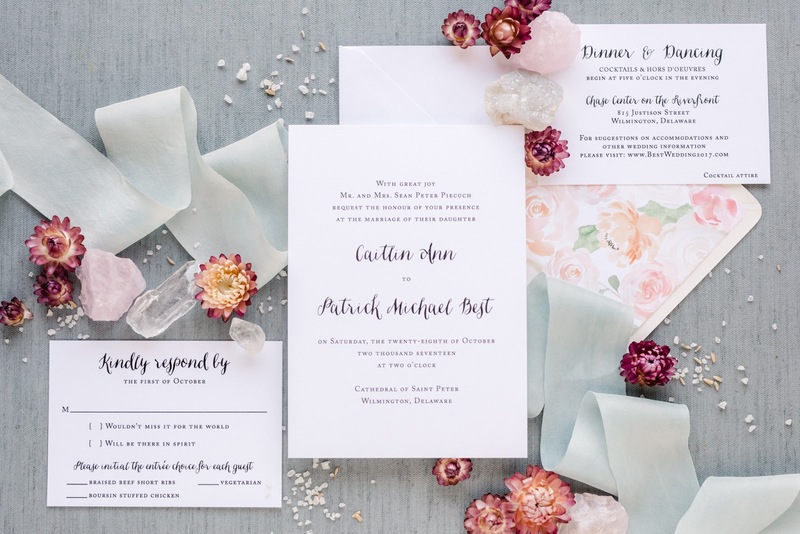 A modern calligraphy script paired with a roman font and crisp black thermography printing looks beautiful and gives you that timeless look.